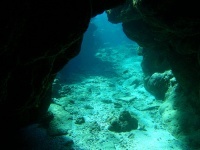 Scuba-diving in Fiji has become a major activity due to the reefs encircling some of the islands. Divers are drawn to its shallow, translucent lagoons, steep drop-offs and world famous soft corals. Combined with warm waters and 130-foot (40m) visibility, this makes Fiji an underwater paradise. We are looking for contributors for our Fiji travel guide. If you are a local, a regular traveller to Fiji or a travel professional with time to contribute and answer occasional forum questions, please contact us.